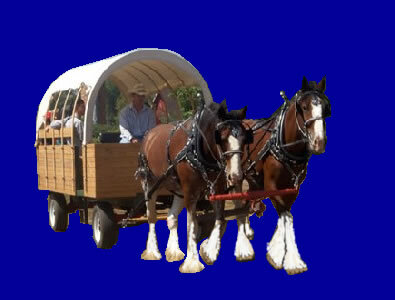 We offer year-round hayrides at your location or ours. The hayride wagon seats 20-25 people. Hayrides are available for private parties, HOA's, corporate functions, and schools. 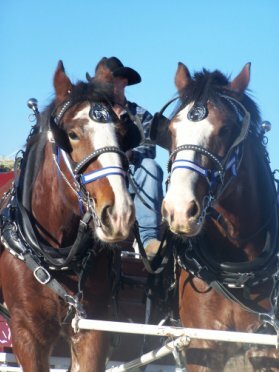 The award-winning Clydesdale team of Blaine and Wilson ensures a one-of-a-kind experience. Award Winning Blane & Wilson Team! Come sing Christmas carols and enjoy a hayride through neighborhoods lit with Christmas lights. Listen as the jingle-bells on the horses ring a sound you'll never forget! We can tour your location or ours. 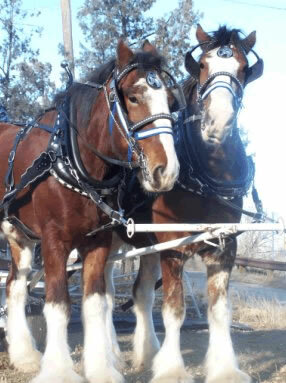 There are few animals as beautiful or stunning as a purebred Clydesdale. We can accomodate your needs year round and would love to bring our team to your event. The award winning team, Blain and Wilson can perform on snow or dry land, anywhere you're having your special event. 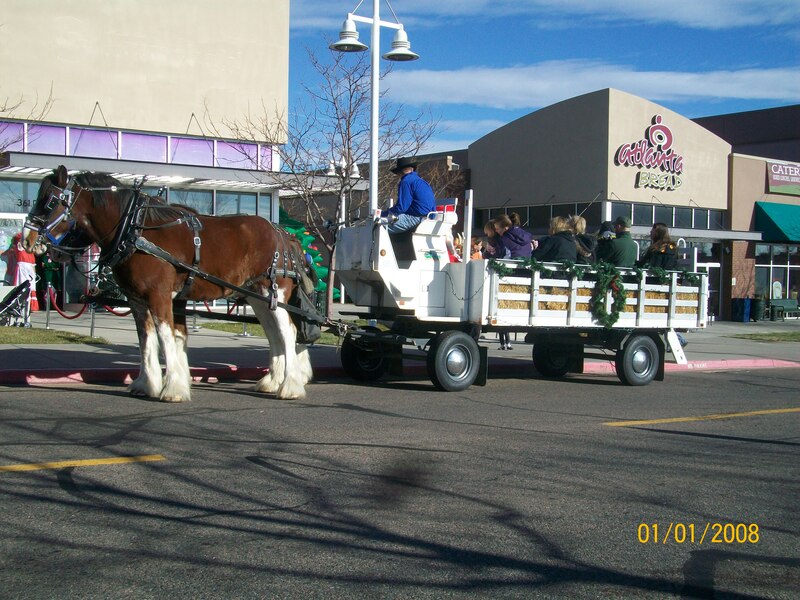 Clydesdale hay rides are also great for corporate functions, birthday parties, family reunions, parades, or any other event you are having. This docile team will amaze you with their skill and talent. They are incredible animals, and will make your next event one to remember. © Kodiak Ranch LLC, 2008. All materials, images, and documents found on this web page are the sole property of Kodiak Ranch LLC and reproduction without permission is prohibited.